Shirts With Random Triangles: (UPDATED) LSU defensive back Jalen Mills charged with second degree battery, indefinitely suspended. 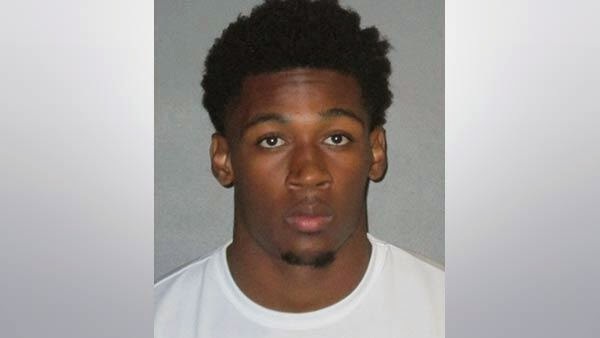 According to the Baton Rouge crime blotter site redsticknow.com, Mills is alleged to have "punched a female victim in the mouth" in a incident that occurred in May at his apartment complex. "The victim, who notified authorities, stated she was at Mills’ apartment complex when she knocked on Mills’ door looking for her friend. Mills opened the door then closed it in the victim’s face so she knocked again. When no one came to the door the victim walked away down the hall. She stated she heard someone say something to her while walking away and when she turned around Mills punched her in the mouth. She fell to the pavement and was unconscious briefly, according to the report. The victim required 4 stitches in her lip as a result of the attack." Mills was contacted about the incident by police on May 29. He told police that he was in Houston at the time, and would not be back in Baton Rouge until June 9, the start of summer school at LSU. An appointment for Mills to meet investigators about the incident on June 10, but Mills failed to show up for it. A warrant for Mills' arrest was issued following his failure to appear at the appointment. He was booked into East Baton Rouge Parish Prison approximately around 2 a.m. on Wednesday morning. A spokesman for LSU says that Tigers head coach Les Miles is aware of Mills' arrest, and is preparing a statement regarding the situation. UPDATE: Dr. Saturday is reporting that LSU has placed Mills on indefinite suspension from the Tigers' football program.